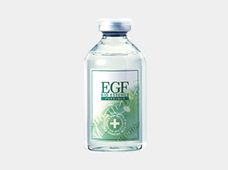 The gel itself is made with the essence of EGF, collagen, hyaluronic acid, coenzyme Q10 and retinol, so the beauty ingredients continue to steadily permeate without the skin becoming dry even when worn over a relatively long period of time compared with regular sheet masks. Moreover, gel masks that snugly adhere to your skin are also convenient while worn because they are not susceptible to peeling off even with you standing up. This product is a temperature-sensitive water-soluble gel mask, so the beauty ingredients that gradually dissolve in response to the temperature of your skin penetrate and give moisture to your skin. The gel pack will thin as time passes, so you can actually feel the “permeation” with moist and springy skin after peeling off. Absolutely no synthetic gelling agents (e.g. 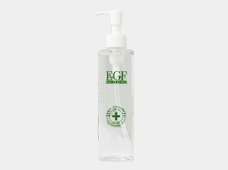 carbomer) are used and there are no fragrances, colorings or parabens, so this gel is also recommended for those with sensitive skin. 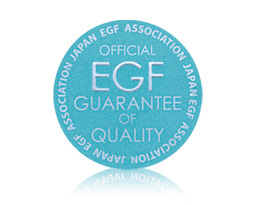 This is a genuine product approved by the Japan EGF Association which has been manufactured in a special prescription with raw materials approved by the Japan EGF Association imported into Japan from South Korea. 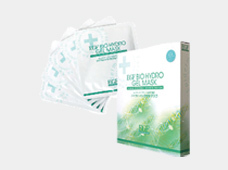 This is the ultimate hydrogel mask formulated with EGF (3000IU) in 30g packs. *There is no manufacturing technology in Japan for hydrogel masks, so we commission their manufacture from Trans Genic Corporation in South Korea which is the creator of hydrogel masks and which has patented technology for this. After washing your face, remove the mask from the bag and carefully spread across your entire face. The mask has separate sheets for the upper and lower face. Peel off the film on both sides of the lower sheet and place on your face to line up with your mouth. Next, lightly press down the sheet with the palms of your hands to ensure it tightly hugs to your face. Peel off the film on both sides of the upper sheet and place on your face to line up with your eyes. Next, lightly press down the sheet with the palms of your hands to ensure it tightly hugs to your face. After leaving like this for around 20-30 minutes, please peel off the mask. Thoroughly rub the remaining essence into your skin with the palms of your hands. 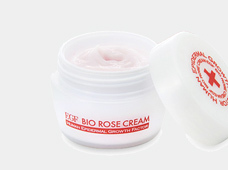 After this, please carry out your regular care routine for your face as normal. There are individual differences in the effect, efficacy and feeling of cosmetics, makeup goods, beauty equipment and health foods. 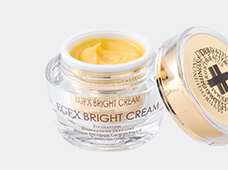 If you feel this product does not suit your body, please discontinue use immediately.